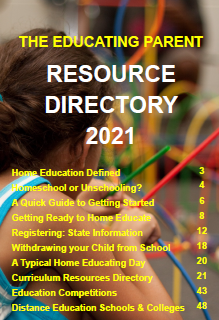 Do you love browsing and buying curriculum? 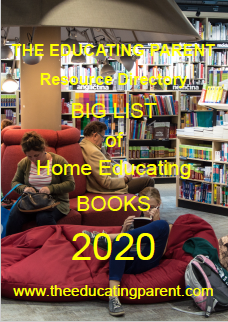 Do you get excited walking down the aisles of bookshops, or in the library, planning unit studies for the weeks and months ahead as you scan the titles or examine the covers of shiny new books? Do you get a thrill when you visit Spotlight and other craft stores brimming with art and craft supplies, a zillion ideas flying through your head? Do you have trouble dragging yourself away from the stationary section of the department store, or linger a little longer at the stationers or photocopy shop? As a child I loved heading back to school. I loved wandering through the uniform section at the department store, delighted in the smell of new stationery, carefully sharpened new pencils and happily decorated the covers on my new exercise books. As a homeschooling parent, especially one that gradually relaxed into unschooling as the years drifted by, I really missed the rituals I enjoyed as a child getting ready for the new school year. For some of us making the transition from long lazy summer days to busy homeschool isn't embraced with this enthusiasm: you may be feeling a little reluctant to get the homeschooling ball rolling again. The following tips may help you feel less apprehensive or overwhelmed. An organised home makes it easier to enjoy learning at home. Don't just think about how you'll store and display the resources and materials you'll use, think about what habits and routines will make life more efficient and less stressful. 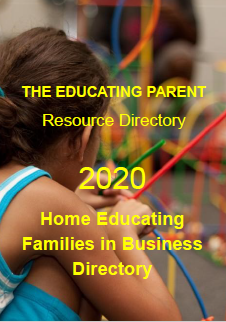 Eliminate unnecessary clutter from your daily life - and your homeschooling learning programs. Trim your list of things to do each down until you are covering the absolute essentials. Once you're on top of these you can confidently add extra activities. Have a place for everything and be strict about putting things away after use. Anticipate need. Forward planning will help avoid putting off projects because you don't have what is required. 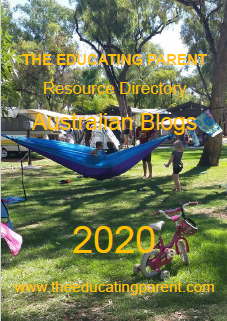 Two websites homeschoolers have found useful for 'organising tips' are FlyLady http://www.flylady.net and OrganisedHome.com http://organizedhome.com . 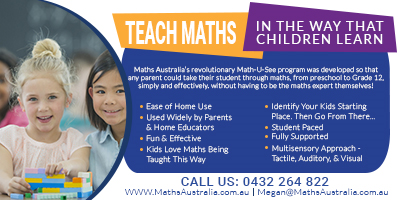 Spend some time setting up your main homeschooling area to suit the learning styles of your children. Most of us work around the dining room table, have extensive bookshelves, use a filing cabinet, and have more than one desk for quiet study or the computer and printer. Colourful, stackable boxes make great storage for toys and games. Keep handy - and topped up - those supplies that run out frequently. 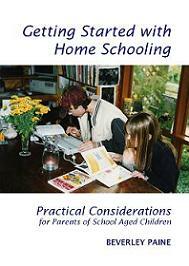 Beverley Paine's Learning Materials for the Homeschool is an inexpensive booklet and lists hundreds of resources (and ideas) to help you set up your homeschool. Establish a routine that works for you and your family. 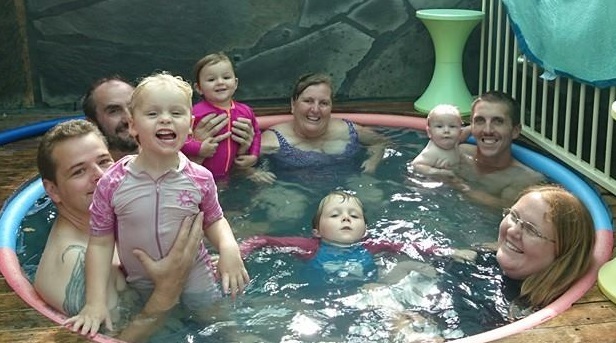 Some families organise excursions and homeschool gatherings for the end of the week. A regular morning routine means that the 'must do' chores and educational activities are done when energy is highest. Tidying up as you go is an excellent habit to encourage. Make sure everyone gets time to relax, for physical exercise, to be alone. Be sure to schedule whole family activities - playing games together in the evening, eating together regularly, reading together, etc. And record a message on the answering machine asking people to call back at a set time, so you can be there helping your children when they need you. If you are like me, you'll want to make 'back to homeschool' a special time of year, so why not celebrate it with a party? 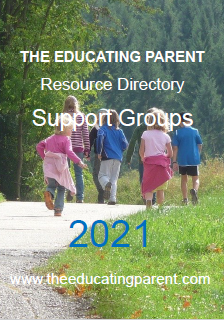 Get together with a group of other homeschooling families and do those things I loved doing as a child getting ready for school: making bookmarks, covering exercise books and pencil tins, creating a time capsule, decorating and making library book bags, etc.